I am aware that the next sentence I write will make me sound like probably THE most boring person on the planet, but hear me out. I have to confess one of my favourite things to do is have a massive clear out. Oh yeah, that’s right – up there with ‘socialising and going for dinner’ I would list clearing my stuff out as a top past time of mine. I find it cathartic and always feel more like I have my life in order when I’ve had a good clear out and have a bag or two (or four) to go to the charity shop. But what has this got to do with Impulse I hear you cry?! Well probably not cry…but you know..what I mean. Well, the whole point of the wardrobe clear out was motivated by wanting to give my own style a bit of a refresh. I’ve fallen into a bit of a slobby routine. It’s easy to do when you work for yourself from home. Leggings and a baggy jumper are my usual work ‘uniform’ and it’s very much out of my comfort zone to pop on a pair of heels. Of course, I do still smarten up ok for meetings or events. But I wanted to just give my whole style and wardrobe a bit of an update – whilst still feeling like ‘me’. 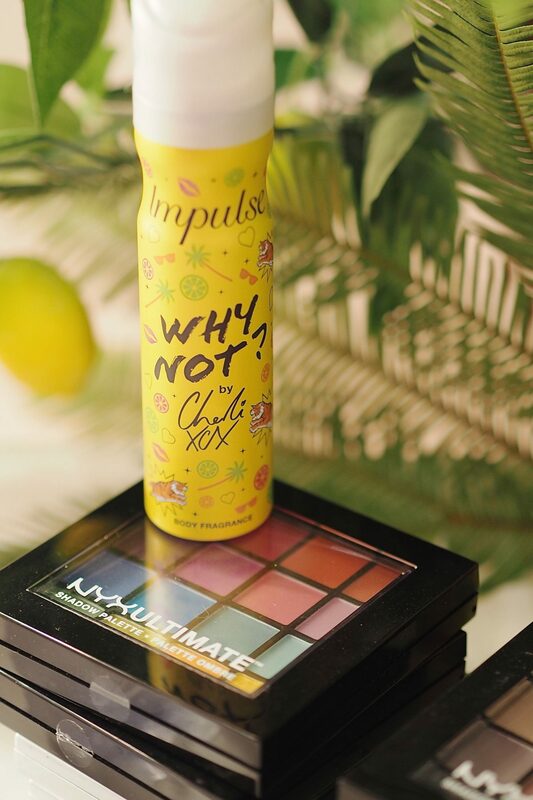 But the idea of getting a bit more playful with my wardrobe and giving my overall style a refresh was perfect timing as I was invited along to a fun event with Impulse to celebrate the launch of their new Limited Edition Impulse Why Not? Fragrance that’s been created as a collaboration with Charli XCX. Charli XCX is the perfect example of someone with ever changing style – I’ve seen her a couple of times at events and every time she has a totally different look. Shying away from the idea of a ‘signature’ and instead getting playful and fun with it. I really admire this in people’s style as it’s something I find daunting but would love to emulate! She’s brought her creative, fun style to the Limited Edition packaging with tigers, palm trees and lime slices all on a bright yellow bottle. But inspired by all the different looks going on at the Impulse Changing Room event I decided to ditch my usual bronze/brown eye shadow and switch it up for a bright blue liquid eyeliner flick. And when I say bright blue, I wasn’t kidding. I spotted a gorgeous navy liner on one of the girls at the event that I loved but figured if I was going to switch it up, then why not go the full-on bright liner. The liner used was by NYX and I think I may just have to pick one up as I loved the look. I might not go as dramatic on the flick, but love the bright blue shade. 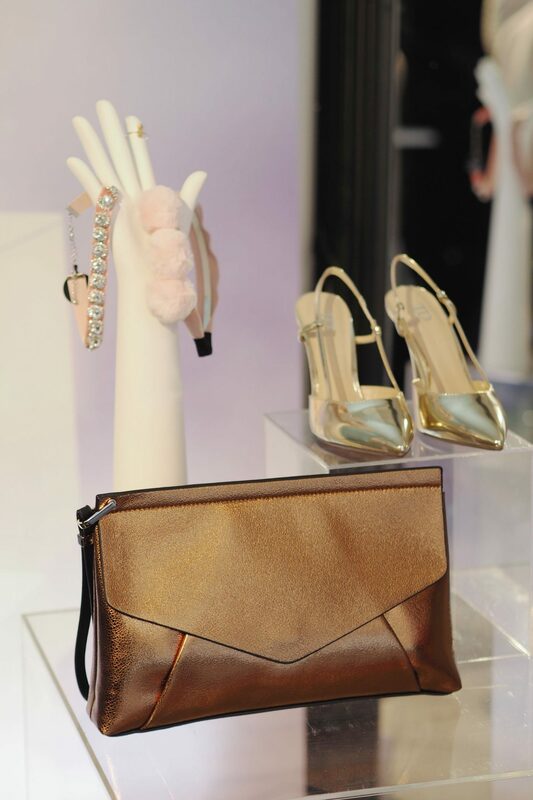 Other looks and ideas I saw – a whole load of new season style, including a gorgeous dusky pink leather jacket that I loved and is a nice switch from the typical black. There were braids galore that looked so cool. Plus some gorgeous messy fishtail braids that looked amazing. Plus some great ombre nail looks – I just loved how colourful the rooms at the event were! Filled with gorgeous colourful flowers to match the four Impulse fragrances on display. 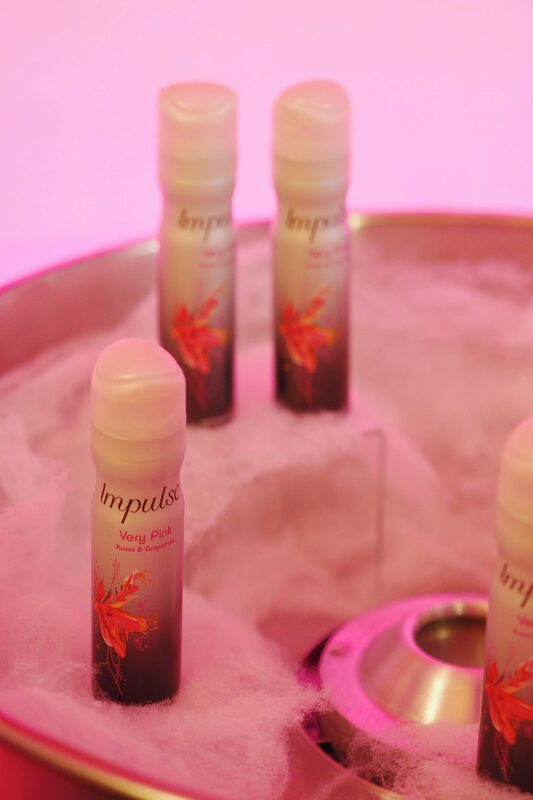 Including the new Limited Edition Impulse Why Not?, Impulse Rock & Love, Impulse Into Glamour and Impulse Very Pink. 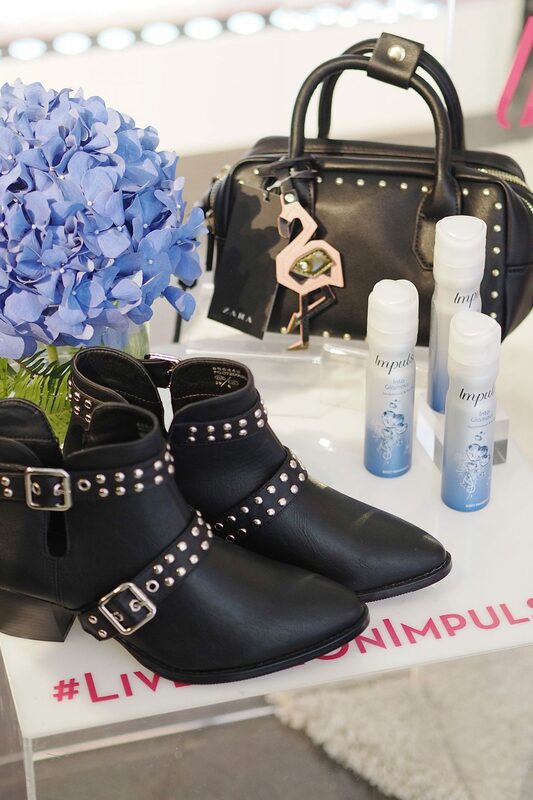 My personal favourite fragrance was the Impulse Rock & Love as it has notes of some of my favourite fragrances – orange blossom and amber – so works well as an all over scent alongside my favourite perfumes. I had a really great time at The Impulse Changing Room and it really gave me those sparks of inspiration to get that bit outside of my ‘easy’ comfort zone with my style. Next on the style refresh agenda – a mega ASOS haul of new bits to re-fill the gaps in my newly cleared out wardrobe! Haha, love this! And I love nothing more than a giant clearing out of stuff! It makes me feel like I have it all together (when I don’t). And I’m totally Andrea pre-runway. Nyx is one of my favorite brands too, you’re making me want to go snag some new fun colors to switch things up!